Takes 135 Minutes Minutes , serves 1 pie. Preheat oven to 350°F. Wash and dry pumpkin. 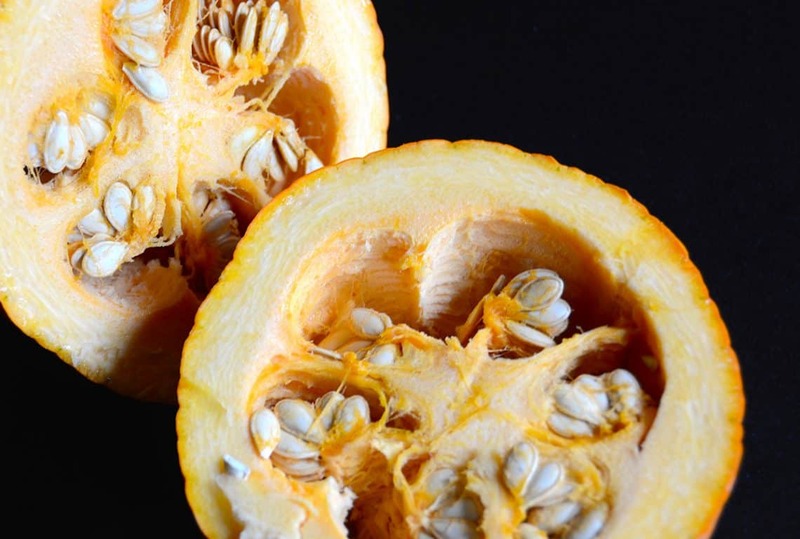 Cut in half horizontally and remove the seeds. Invert the two halves onto a parchment-lined baking sheet. Transfer to oven and roast for 1 hour. 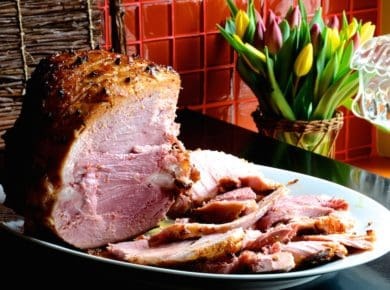 Once cooled, scoop out cooked flesh and pulse lightly in food processor. Reserve 2 generous cups. Prepare spices by grinding or grating each one separately. Mix dry spices together with sugars and salt. Set oven temperature to 425°F. Beat eggs and single egg yolk lightly in a large stainless steel bowl. Add puréed pumpkin, sugar, salt and dry spices, mixing well. 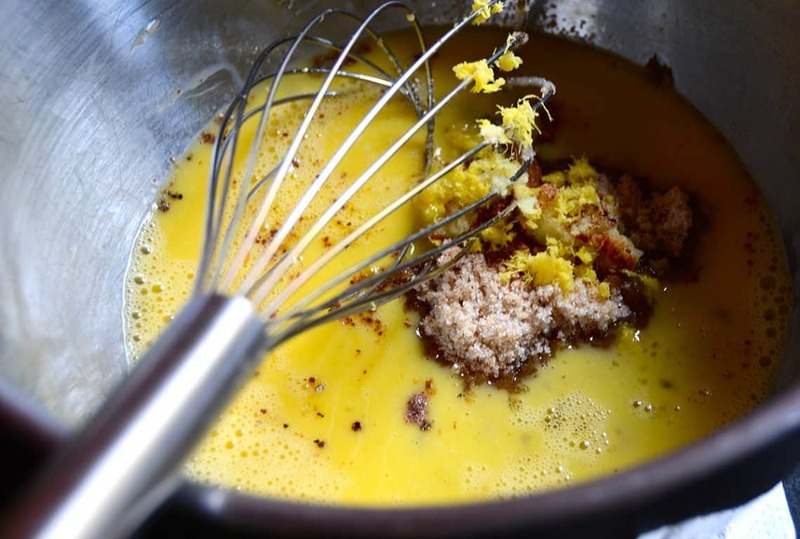 Add grated ginger and lemon zest and mix again. Slowly add cream and beat using hand mixer on medium setting until ingredients are evenly combined. 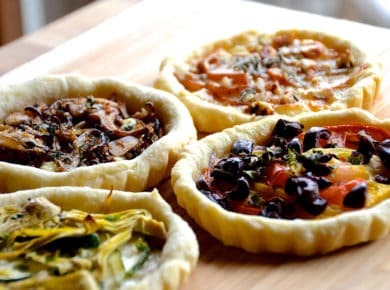 Pour filling into a prepared pie shell and decorate top with any extra dough, cut into interesting shapes. Transfer to oven and bake for 15 minutes, then reduce heat to 350°F and bake for an additional 50 minutes, turning halfway through. Pie is done when a knife inserted into the centre comes away clean. Cool on wire rack for at least two hours and serve with gourmet ice cream or freshly prepared whipped cream. 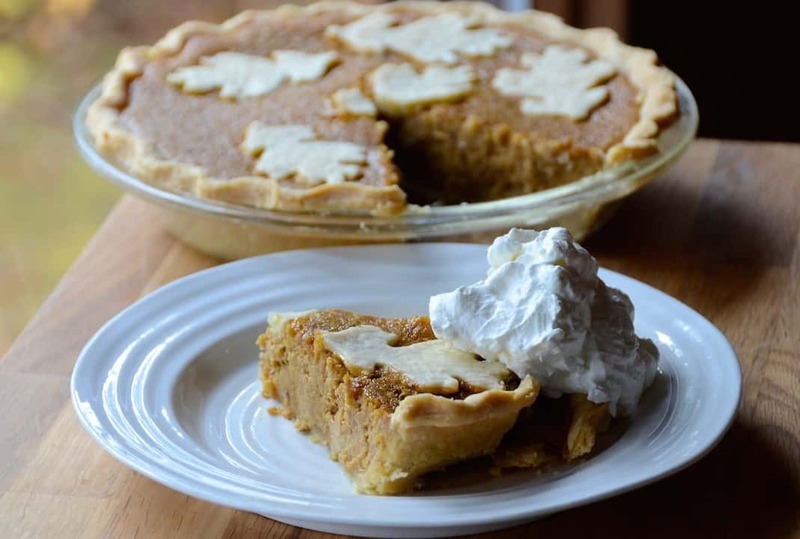 OUR UNIQUE SPICED PUMPKIN PIE RECIPE BOASTS A RICH FLAVOUR AND TEXTURE, THANKS TO THE PERFECT BLEND OF ROASTED PUMPKIN, FRESH-GROUND SPICES AND FLAKY CRUST! I always LOVE when a friend or family member emphatically declares “I HATE pumpkin pie!” I smile, acknowledge their distaste, then offer them this SPICED PUMPKIN PIE. It’s surprisingly easy to make and I’ve learned a few things over the years that help create a superior and unique pumpkin pie. When making a pumpkin pie recipe from scratch, you absolutely gotta use a pie dough recipe that yields a tender, flaky crust. 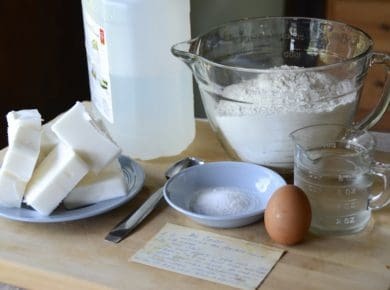 Here’s my GO-TO PIE DOUGH RECIPE that always works perfectly. You’ll only need enough for a bottom crust, so there will be just enough spare bits of dough to decorate the top as we did. 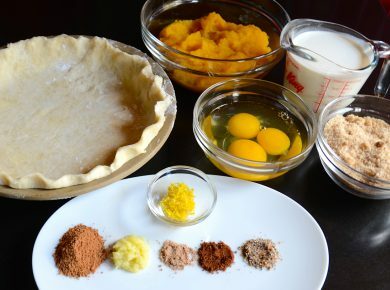 Now, if you love making pies, make sure to go HERE and check out the roundup article on NoBiggie. 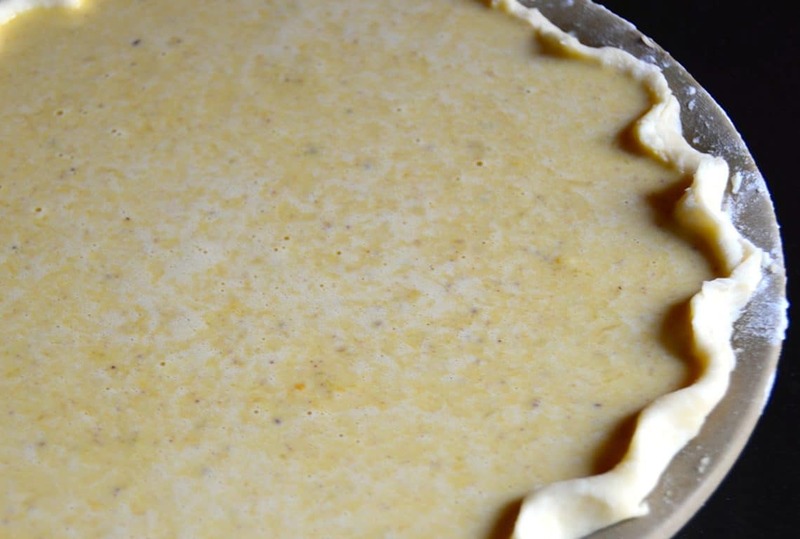 Kami has put together a whole bunch of links showing different ways to decorate pies. It’s fun to look through them all. The idea for this important ingredient happened by accident. I forgot to purchase a can of pumpkin purée but did have a small sugar pumpkin on hand. 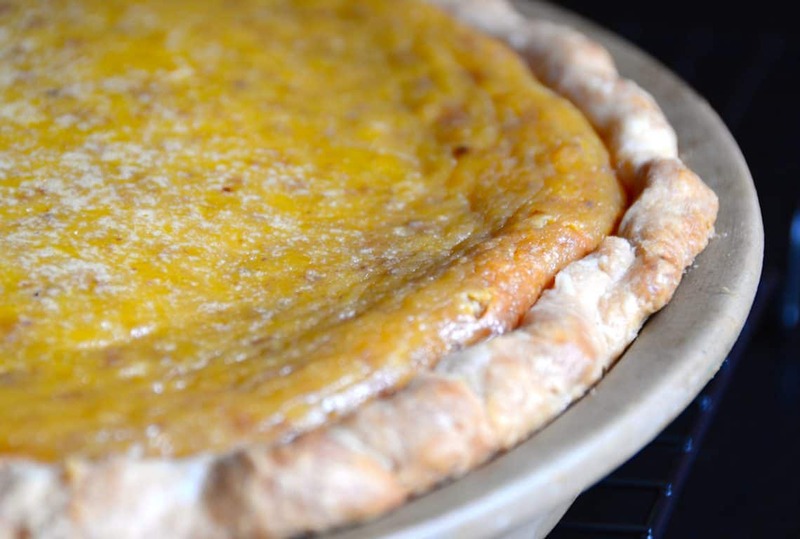 I instantly knew I’d love my fresh pumpkin pie recipe even more. 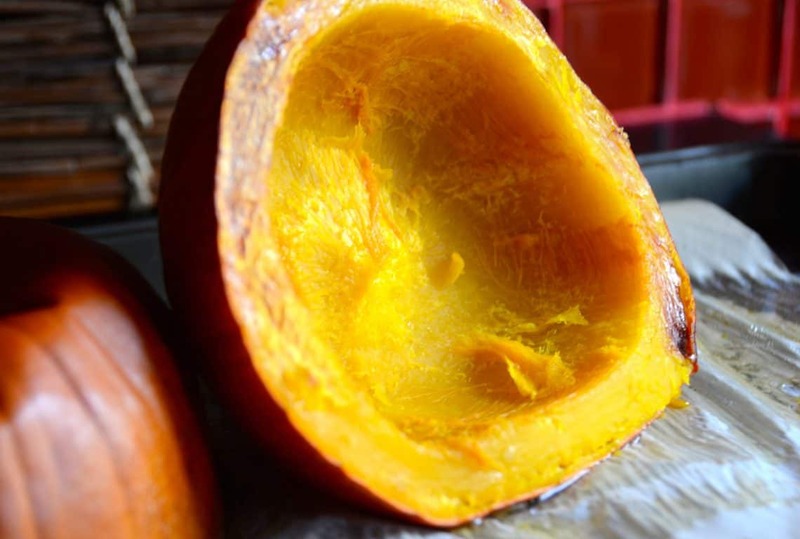 For best results, roast your own pumpkin using one of those dinky “sugar” or “pie” pumpkins. 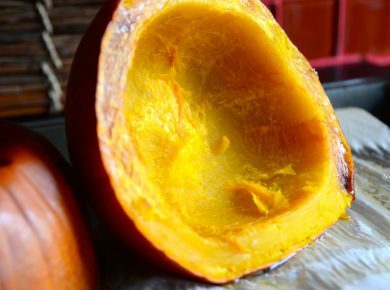 I’ve found that roasting the pumpkin (350°F for 1 hour) instead of boiling it brings out a sweeter, nuttier flavour. 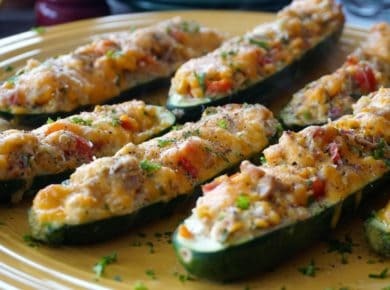 Please, follow my lead and only use fresh-ground spices for this recipe. Also, note that I call for freshly grated ginger too instead of ground. 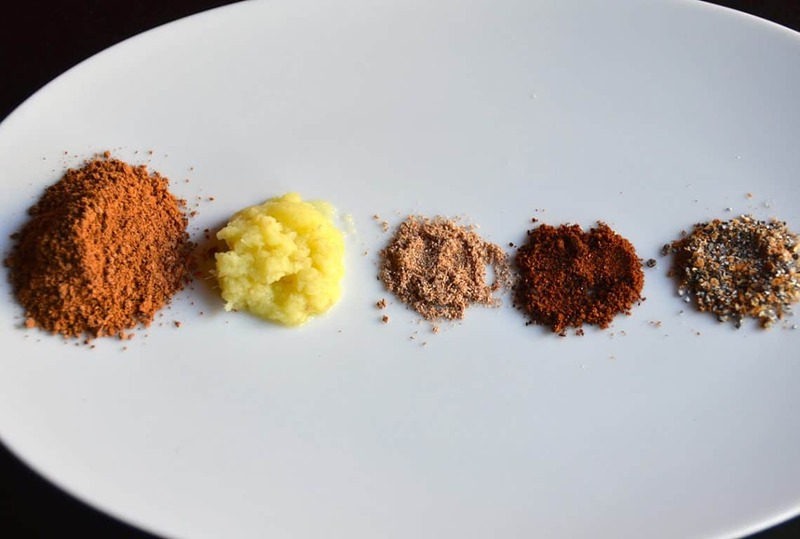 Purchase your spices (cardamom, cloves, nutmeg) whole and then use a coffee grinder, grater or spice mill to grind them right before adding them to the recipe. 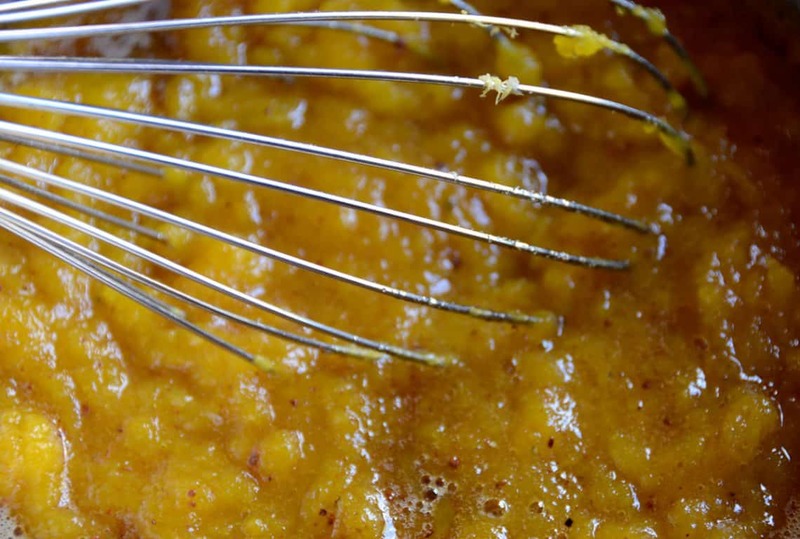 This will noticeably enhance the flavours and create a heady fragrance to the finished pie. Once cooled, serve your pie with a dollop of luxurious whipped cream or ice cream. If you’re a fan of ice cream, feel free to try this pumpkin pie with our HOMEMADE VANILLA ICE CREAM or look for something like cinnamon, toasted butter pecan or dulce de leche. Cream – whipped or frozen – makes eating pie even more exciting! 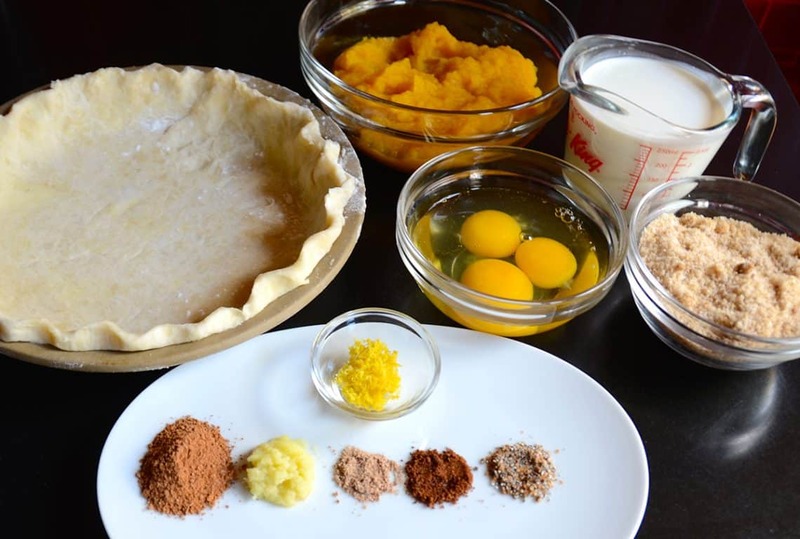 Since I’m in a recommending kind of mood, don’t forget to present this pie as part of a complete holiday meal. 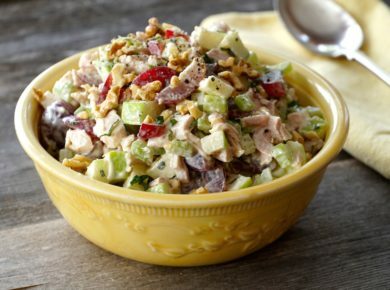 Other delicious offerings may include our FALL SALAD, DRY SALT-BRINED TURKEY, SAUSAGE DRESSING and BEAN CASSEROLE. Another lovely treat, check out our homemade CRANBERRY SAUCE a tangy compote we know you’ll love. Well, I hope reading these suggestions inspire you to make this delicious dessert. It’s certainly worth the effort and for sure ranks high in my top ten pie recipes of all time. 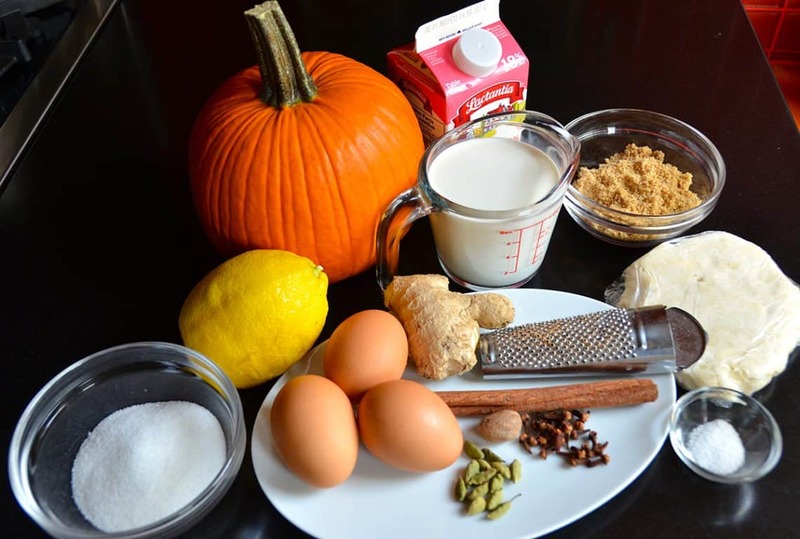 The best SPICED PUMPKIN PIE recipe EVER, sure to make even the most stalwart haters change their tune. What do you love? 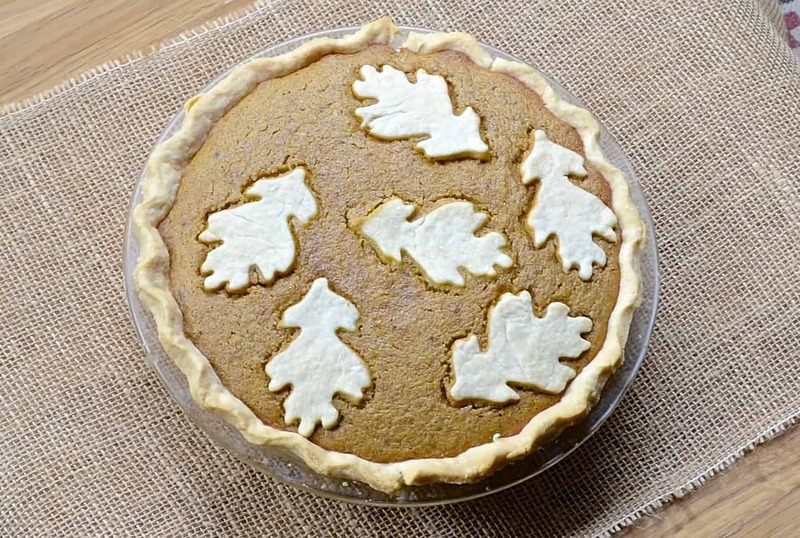 WE LOVE THIS PUMPKIN PIE! 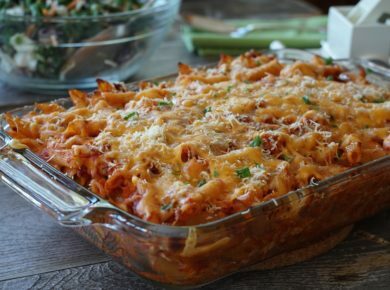 This recipe makes A LOT of filling, or my pie plate is smaller. I had leftover filling, so I poured it into greased ramekins and then baked them, as I baked the pie. It was a gluten free treat! Great stuff. Listening to great music is an important part of every Weekend at the Cottage! 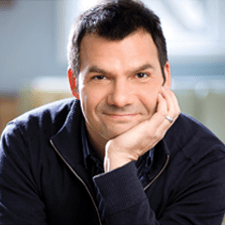 While making this recipe I listened to The Best of Matt Bianco – Matt Bianco. Visit iTunes to add this music to your collection.